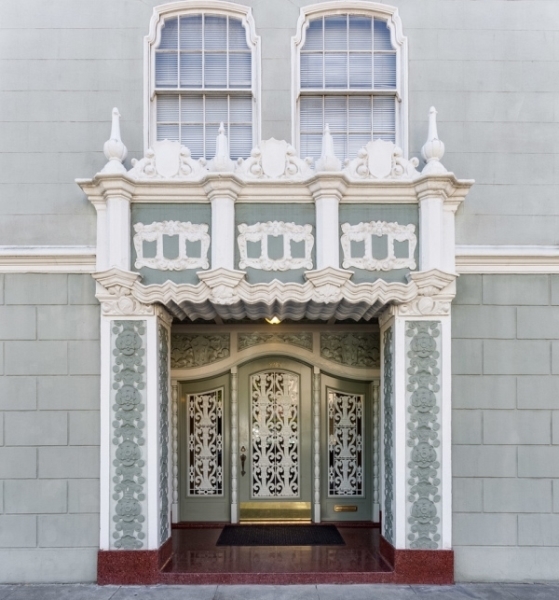 This intimate 12 unit building is located at the corner of Bay and Broderick just blocks from the Palace of Fine Arts. The exterior of the building is detailed with crests and heavy cornices culminating in an ornate reproduction of the French Baroque style entrance. 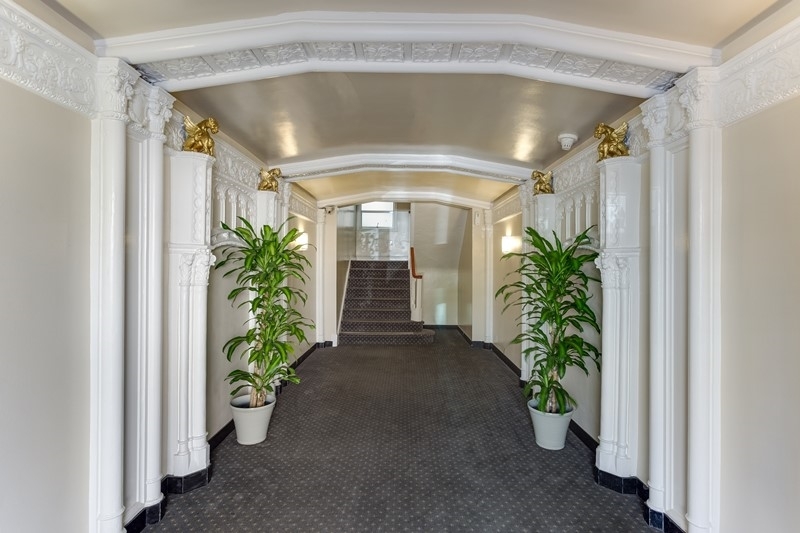 The details in the lobby, from the decorative columns to the intricate molding and especially the golden gargoyles exude a striking old world charm. 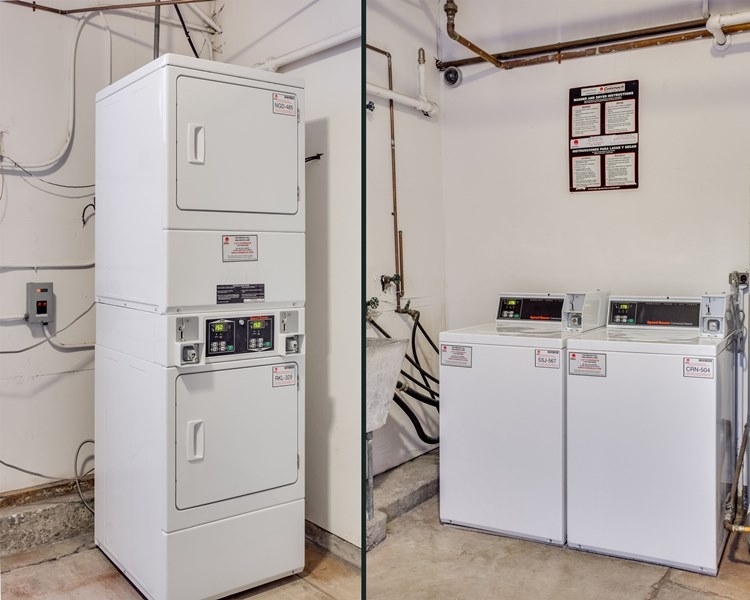 Equipped with an intercom system and an coin-operated laundry facility the building also features on-site parking which is often available for an additional fee. The Presidio, a national park, was originally used as an army post when the U.S. Army acquired the land in 1846. The U.S. Army transformed the Presidio into an Army post, converting the once harsh dry land into lush green grass. Today, the Presidio continues to holds beautiful view of the Golden Gate Bridge, old historical buildings used by old officers, and trails that runners and hiking enthusiasts can both enjoy. Located near the Marina, Chestnut Street is a perfect mix of eateries, clothing shops, and other services open to benefit you. The main features of this street can be found in the span of four blocks, but range from beauty and health services to cafés and sweet shops. The marina is the residential district closest to the shores of the bay and the Golden Gate Bridge. The district is home to shops, restaurants, apartment buildings, and landmarks. Landmarks like the Palace of Fine Arts are available to the public, as well as Crissy Fields which you’ll find runner enthusiast with their dogs.